It was a rainy summer day. I didn't want to start something big so I got the idea of making a 9x12 millimeter format camera. 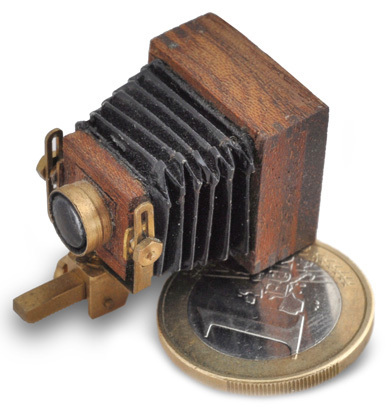 Some mahogany wood, brass and a few hours of work ended up in this little camera. Everything is there except a shutter. But there is a lens and you can focus the image on the ground glass. Folding the bellows was the hardest part.